1. Car pool to work or school – Gas prices continue to rise and if you work in a major city like Los Angeles, Miami or New York, carpooling or using public transportation may cut your traveling expenses in half! Sit down and compare the numbers – it will be a big shocker how much you could save if you make this small adjustment to your lifestyle. 2. Make coffee at home – referred to as the “Latte Factor,” buying coffee 4-5 days a week for a whole year can cost you $624 a year! Brew your own coffee at home some days and take it with you to go and instead save that money for a future investment. 3. Use a free budgeting tool – With free online money management tools like PowerWallet, people can get a full real-time picture of their personal financial situation from any remote location. PowerWallet is user friendly and even offers reward and money saving incentives! 4. 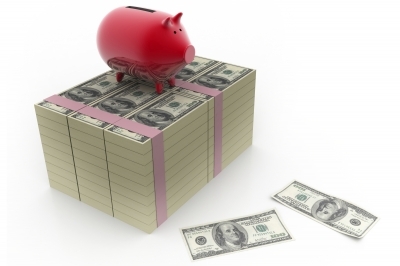 Open a savings account – This is one of the best way to encourage yourself to save more! Open a separate savings account so you can physically separate what money is supposed to be saved and what money is available for living expenses. This way you won’t ‘accidently’ spend your savings on careless items – out of sight, out of mind! 5. Cook at home, eat out less – By cooking for yourself, you can create $3 to $5 meals for yourself rather than dropping $10 every time you go out to eat. 6. Get a second job – Find a fun part-time job on the weekends and save that income for future financial goals. An extra few hundred bucks a month can really go a long way after saving for a whole year! 7. Use coupons – If you get more for your dollar, you can save more! Take advantage of online coupons and deals on different frugal and personal finance blog sites.